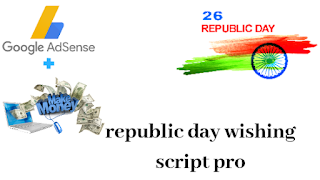 Hello friends, now I'm able to share with you some interesting topics about republic day wishing script. In this method, you can earn more or moderate money from Adsense or any other ad networks. This is an HTML script to change a normal blog to wishing or event blog. It can look an attractive look and well designed. Go to your blogger and theme section and upload any custom themes then change into full desktop mode. After that click revert to classic theme button then paste the script code into the command box. Copy your ad code and paste into the script and give save button. After 1 min visits your blogger then the wishing website will appear. 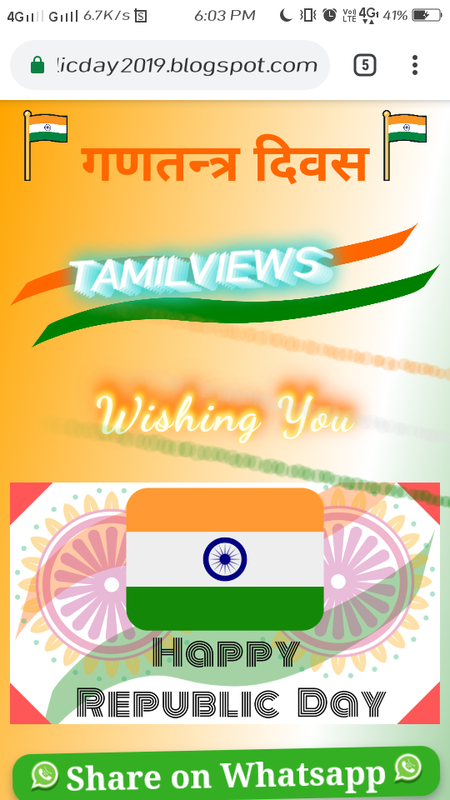 You can make this website before the republic day. Note one thing you can note your earnings in every time that is safe for your account.